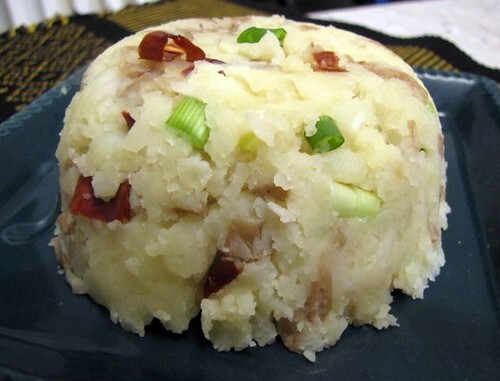 Flavorful and fiery mashed potatoes made with mustard oil, onions, and red chilies, aloo bhorta is the perfect example of Bengali comfort food. Sometimes at random times, often during work, I get a craving for the flavors of my childhood. Since I live many states away from where I grew up, it’s up to me to find a way to make those flavors happen. Aloo bhorta wasn’t something we ate regularly, but it made its appearance enough that it’s embedded in my flavor memories. If I remember right, 2 batches would be made each time – one that was safe enough for my sister and I to eat and the other hot enough for my dad to eat. Over time, soon I was able to eat the hotter version! The key to these Bengali-style mashed potatoes is mustard oil, or shorsher tel, which is to Bengalis as olive oil is to Italians. 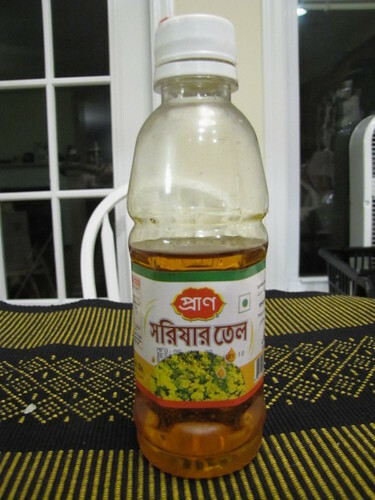 There’s really no substitute for the incredibly pungent taste of this golden oil, which is almost one of the cornerstones of Bengali cuisine. Because of one of the acids present in the oil, which can be considered a neurotoxin in high doses (hello, mustard gas? 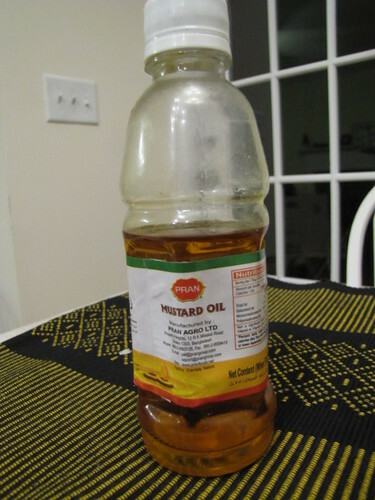 ), whenever you buy mustard oil in a South Asian grocery store in the US, it is labelled for “external use only” or “not fit for human consumption”, as it is also sometimes used to massage skin. Hint, I would buy it at a Bengali grocery store, since you know there will be frequent turnover and there’s little chance the oil will be rancid from sitting out so long. With only 5 ingredients, there’s no reason why aloo bhorta shouldn’t make a more regular appearance in my repertoire! This is one of those recipes that’s not really a recipe – you have the ingredients and you just adjust the seasonings to your taste. 1. Boil potatoes until tender. Remove from water and place in large bowl. Mash until to your desired consistency — I kept the skins on and kept a few lumps in. 2. Add mustard oil, onions, and red chilies, and incorporate throughout potato mixture. Add salt and adjust for taste. You can add more mustard oil or onions if you want more heat. I went the traditional route and served this with steamed white rice and some masoor dal. 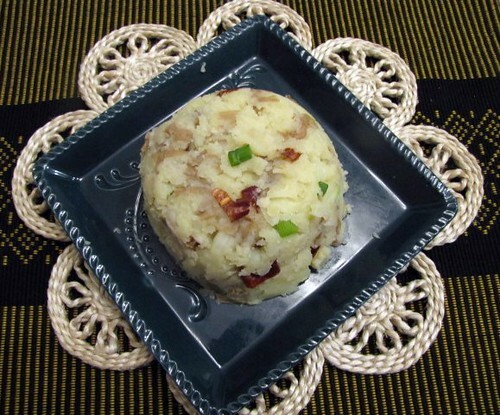 But there’s no reason why you couldn’t serve this as a twist on your usual mashed potatoes. great recipe for something which is pretty much upto the cook to interpret ” more or less” or “according to your preference”!! I’ve never heard of mustard oil but now I’m so intrigued! I love this unique recipe, great BSI submission! And I love your presentation too-very pretty.